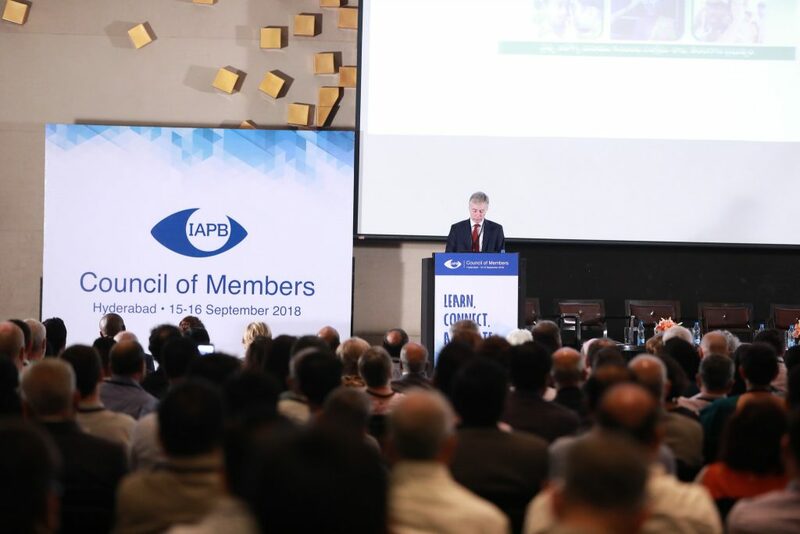 The IAPB Council of Members is the major annual high-level policy meeting dedicated exclusively to the elimination of the main causes of avoidable blindness and visual impairment. Held every year, bar General Assembly years, the event brings together key decision makers from across the IAPB membership, as well as representatives from governments and the World Health Organization (WHO), and encourages timely debate on emerging issues related to eye health. Read about the Council meetings on 13-16 September 2018 in Hyderabad, India. Details of the Council meetings on 17-18 September 2017 in Kathmandu, Nepal. Access highlights, presentations and the Eye Health Leaders list from the Council meetings on 13-14 October in Beijing. Access presentations, posters and the Eye Health Leaders list from the Council meetings on 18-21 September in Paris. Access presentations, videos and the Eye Health Leaders list from the Council meetings on 14-17 September in Brighton.